1890s scrapbook image courtesy of Jan N.
There’s always a strong element of suspense in a platonic love story. I call it the ‘will they or won’t they?’ factor. As a reader or viewer, you wait with bated breath, secretly hoping the relationship will be consummated, yet knowing things won’t be quite the same if they really do get together. Take Harry and Ruth in the BBC’s long-running series ‘Spooks’. The ongoing unfulfilled relationship between the MI5 chief and the analyst forms the perfect counterpoint to the dirty world of international intrigue. It’s a poignant romance characterised by polite English restraint. Neither says what they really feel. In fact, you might even call it Chekhovian in its sub-text. And speaking of the BBC, who can forget the chemistry between Nikki and Harry in ‘Silent Witness’? Their flirtatious banter brightened many seasons of that series and is sorely missed now that the lovely Tom Ward has gone elsewhere. American television gave us eight years of agonisingly unresolved sexual tension between Mulder and Scully in ‘The X Files’, while that brilliant series ‘The West Wing’ produced one of the most endearing platonic* partnerships in television – Josh and Donna. So, what accounts for my own fascination with this genre? 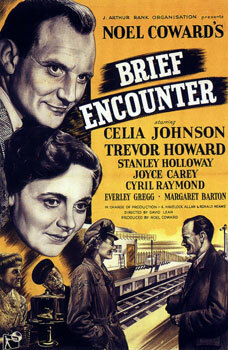 Well, I blame it on ‘Brief Encounter’. I must have been in my early teens when I saw the film on television. Afterwards I produced an endless stream of bittersweet love stories for the entertainment of my family and school friends. Even now I find the same themes appearing in my ‘mature’ work so it’s pretty obvious that the platonic trope is lodged deep within my psyche. Written by Noel Coward and directed by David Lean, this film is a little masterpiece. In spite of having to wear a collection of ugly hats and headscarves, Celia Johnson gives a glowing performance that illuminates the film. Meanwhile, a young Trevor Howard is perfect as the doctor who removes a cinder from her eye and falls in love with her. Both are married, of course, and there’s the rub. Rachmaninoff’s Piano Concerto No 2 forms the perfect backdrop, its relentless rhythms reinforcing their desperate moral dilemma in the face of overwhelming emotions. But what I particularly like about David Lean’s ‘Brief Encounter’ is that the two protagonists are ordinary everyday people, not glamorous leads in the manner of Nikki and Harry, or Mulder and Scully. That’s one of reasons why the 1970s’ remake with Sophia Loren and Richard Burton didn’t work - the casting was ridiculous. 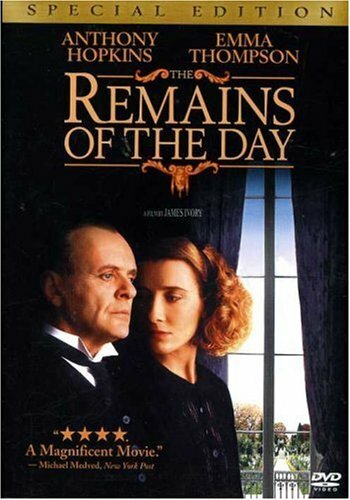 I can’t recall which one I discovered first – the book (by Kazuo Ishiguro) or the film (Merchant/Ivory). But it doesn’t really matter because they’re equally good. Like ‘Brief Encounter’, this is a story about ordinary people – a butler and a housekeeper, and there’s a very British tension that hums just below the surface. It’s almost unbearable to watch/read the scene where Miss Kenton tries to prise Mr Stevens’ book from him, only to discover that it is merely a ‘silly romance’. As an onlooker, your heart aches for the two of them and their lost opportunities. There just had to be a novel by one of the Brontë sisters in this list – they could write unfulfilled passion better than anyone (which reminds me that I should have included Charlotte’s ‘Villette’ in my blog about unrequited love). 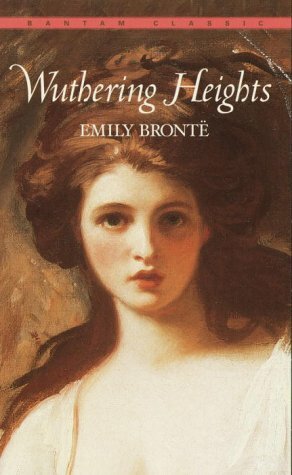 In ‘Wuthering Heights’ Emily Brontë created a highly original tale seething with emotions – love, jealousy, anger, vengeance. The plot is as vast and wild as the moors where the story is set. Cathy and Heathcliff never do consummate their love but it rumbles through the book like a brewing storm about to wreak havoc on the characters. This is the only American story in my list. I must confess that I haven't read the original novel by Olive Higgins Prouty** but I’ve seen the 1942 film several times. It’s worth viewing, if only for the final scene which is heavy with sub-text (you can see a clip on YouTube). Although many aspects of the movie are dated, and the chain-smoking Bette Davis is wont to overact (something Celia Johnson would never do), there’s a certain nobility in the choices made by Charlotte (Davis) and Jerry (Paul Henreid). I’ve referenced this film several times in ‘A Place of Her Own’. By the way, the title comes from Walt Whitman’s poem. * If I recall correctly, this was consummated in the final season. ** For all you movie buffs out there, Olive Higgins Prouty also wrote the bestselling ‘Stella Dallas’ which became a hit film with Barbara Stanwyck in the leading role. See also: My Five Favourite Books about Unrequited Love and My Top Ten Romantic Comedies.